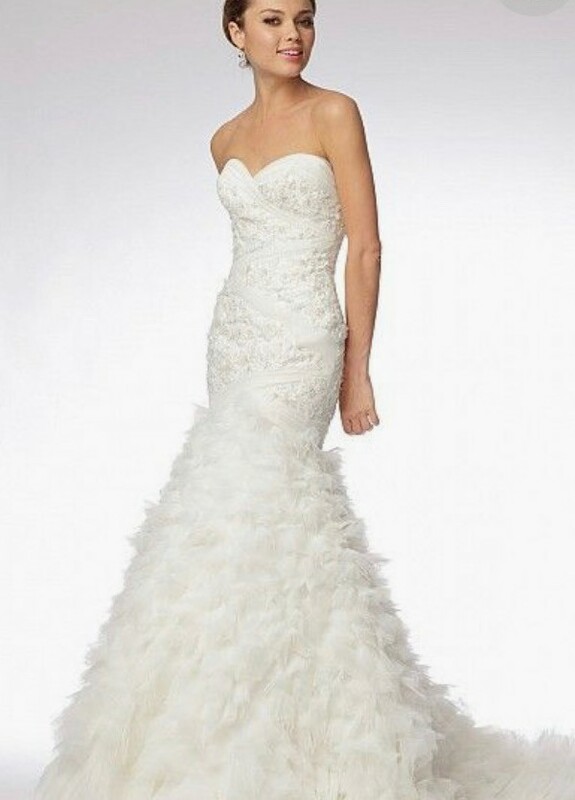 Wtoo by Watters Viviana wedding dress. Ivory re-embroidered lace and tulle over silky taffeta strapless gown with sculpted bodice and dramatic tulle appliqued skirt. Sweep train. Never worn or altered, still has tags attached. I was set to get married and called the wedding off prior to getting any alterations on the dress. Originally paid around $1,300, asking $800. Once you send a message, Amie can invite you to purchase the dress.